Thank you for your interest in our EALC programs, please check your email for details. Hi! 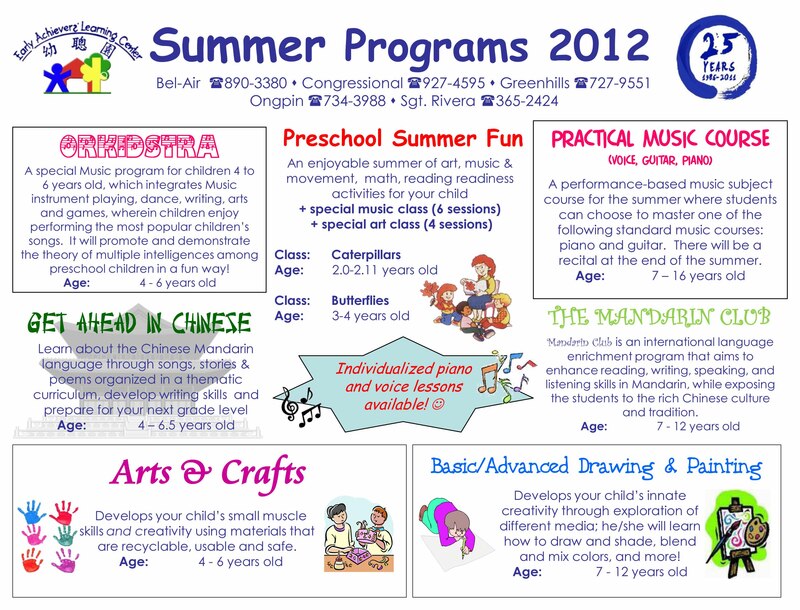 Just want to inquire for the rate for Preschool summer fun, caterpillar class? And how many days? Thanks.